Let’s be honest, nobody’s excited to discover they’re going to need braces. Traditionally, when people think of braces they imagine the most unattractive and uncomfortable option possible. But braces have changed a lot through the years. Although metal braces are still widely used, they are a far cry from the braces your grandfather wore. Additionally, you’ll find a host of other options that might prove to be a better fit for you and your teeth. Below, you’ll find just a few of the different types of braces we offer at the Yuba City Dentistry Group. 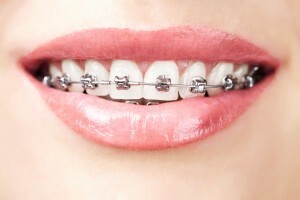 Also known as “traditional” braces, the metal version continues to be the most common form of braces in use today. 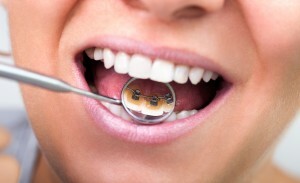 However, modern metal braces are much smaller and lighter than their predecessors. Comprised of high-grade stainless steel, this appliance consists of metal brackets that attach to the teeth by means of dental cement. A thin archwire runs through the brackets, continuously applying pressure and moving the teeth into proper position. 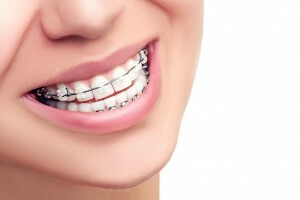 Although metal braces are the most noticeable, they are also the least expensive. Colored bands have also proven very popular with young people. Ceramic braces work similarly to traditional ones, but the brackets are far less noticeable since they are made of a translucent material that blends in with your teeth. Ceramic braces have increased in popularity for obvious reasons, but there are a few disadvantages. Besides being less durable than their metal counterparts, the cost is significantly higher. Additionally, there is some risk of staining (caused by discolored elastics) in some patients. However, the technology of ceramic braces is constantly improving. Although they’re made of metal, lingual braces are practically invisible. This is because they are placed on the opposite (tongue) side of the teeth. Despite their position in the mouth, in principle lingual braces work the same way as traditional and ceramic braces. Lingual braces aren’t for everyone, though. Depending on your condition, they may not be an effective form of treatment. Because they require special training to install, they are more expensive than other options. In addition, they take longer for most patients to get used to and often take longer than other treatments. Invisalign is an alternative method to braces that involves a proprietary system of clear plastic aligners that must be changed on a regular basis. Although they can’t be used for every situation, in many cases they produce results that are comparable to braces. At the Yuba City Dentistry Group, we’re happy to answer all of your questions. By closely examining your circumstances, we’ll help you make the best decision for you and your long term oral health.